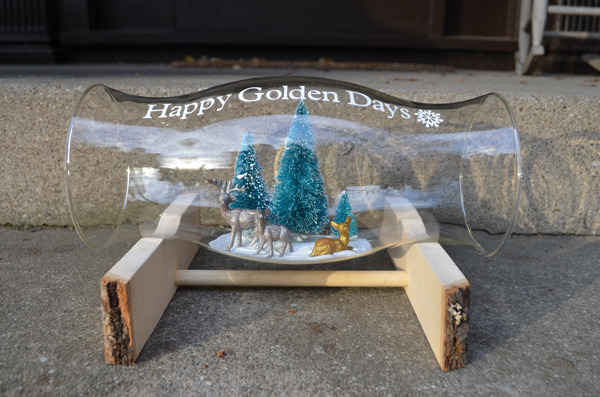 Last year I made little winter dioramas in jars. 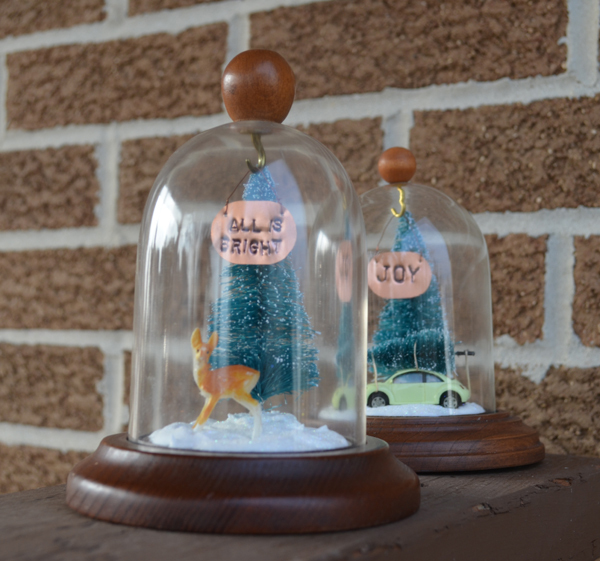 This year my mom thrifted two wee cloches so I used those to make holiday scenes. I especially love the tiny VW Beetle hauling home a Christmas tree. My mom also thrifted a big box full of glass chimneys. She thought I could fill them with ornaments and lights but I had another idea. 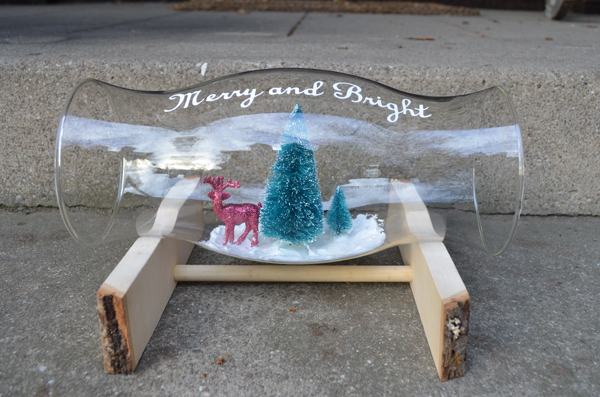 They are perfect for making winter dioramas! 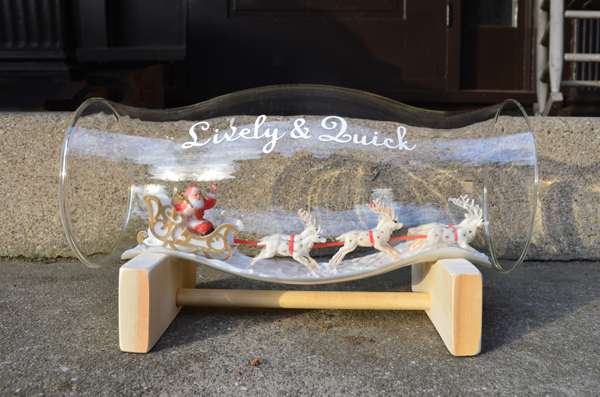 I create the scene inside then use my Cricut to add a holiday carol line to the chimney. I was going to etch them as I mentioned before, but couldn't etch the tempered glass. Aaron made me the stands to hold the chimneys. 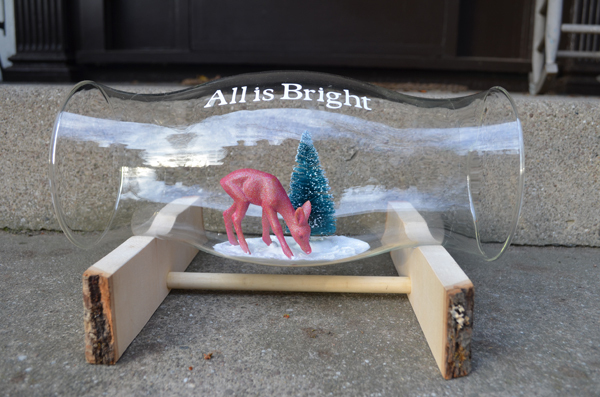 These will be for sale at the South Wedge Holiday Bazaar on Saturday.